Cleaning method - is one carpet cleaning method as good as another? Blog Is one carpet cleaning method as good as another? Is one carpet cleaning method as good as another? Believe it or not, there are dry methods to clean carpets, and no we are not talking about a vacuum! Now some people find this rather appealing, as they won’t have to wait for their carpet to dry after it has been cleaned. However, the truth is that without the water, your carpets just aren’t getting a thorough clean. As the name suggests, dry cleaning uses: dry foam, dry chemicals and dry compound. The problem with these is that they do not rinse your carpet in any way; instead, if there are spills or sticky marks present, the dry cleaning products can stick to these and make a bigger stain! So, does dry cleaning have any benefits? Yes, it can provide good maintenance for carpets in between more thorough cleans. For the more thorough cleans however, you need to consider hot water extraction. What is the hot water extraction cleaning method? The most effective cleaning method is hot water extraction, which is unsurprisingly the most popular method used today. Hot water extraction means a hot water cleaning solution, under high pressure, is forced into your carpet and then sucked back out! There are a couple of different machines that offer this type of clean; Careclean uses the truck-mounted cleaning system. This operates from a van or truck outside your home/facility. There is another option, where a smaller unit can be brought inside, and this can occasionally be useful for areas the other machine can’t reach, but overall we recommend the truck-mounted machine, as ultimately, it provides a better clean! Why is the truck-mounted machine so effective? The truck-mounted machine heats the water to a higher temperature than other machines. This high heat is extremely effective at breaking up the dirt, bacteria, chemicals and pollens in your carpet. Then the machine uses incredibly high suction which is very effective at drawing all the dirt and chemicals out of your carpet. To book your free quote for a professional carpet clean from Careclean Essex, call us today on 01245 323989. 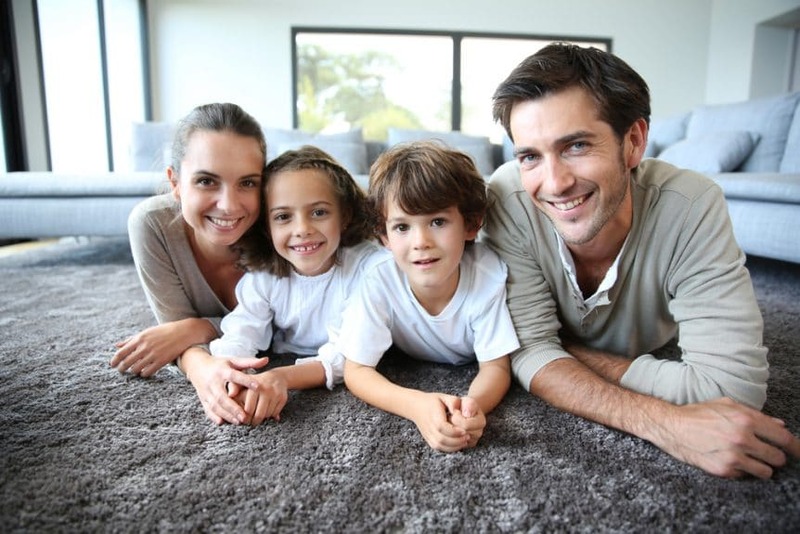 For more information, check out our carpet cleaning page. Careclean was established in 1984 and has a vast knowledge of carpet and upholstery cleaning and maintenance. 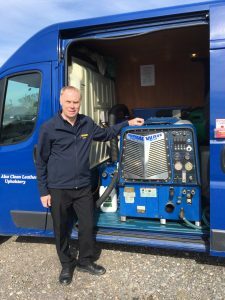 We post a weekly blog, which often includes carpet and upholstery cleaning tips, guidance on keeping your home clean and healthy, and offers and competitions. Click here to check out our blog. You can also follow us on Twitter and Facebook to keep up to date on all the latest news and offers.